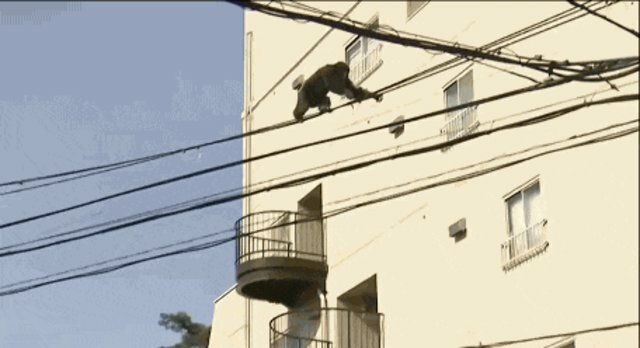 Last week, a 24-year-old chimpanzee from the Yagiyama Zoological Park in Sendai, Japan, decided that he wanted to see beyond the walls of his enclosure. So he ran away from the zoo. 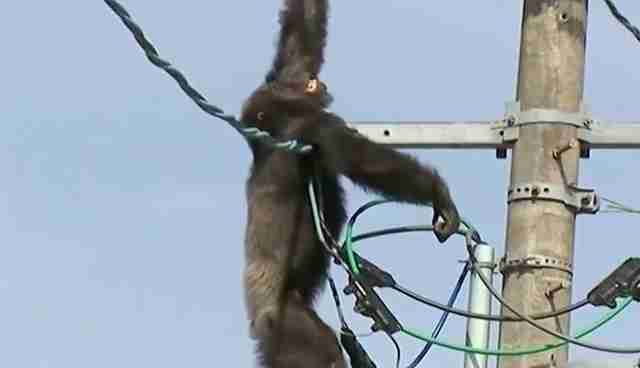 After escaping, Cha Cha fled from authorities by climbing an electrical wire high above the ground. 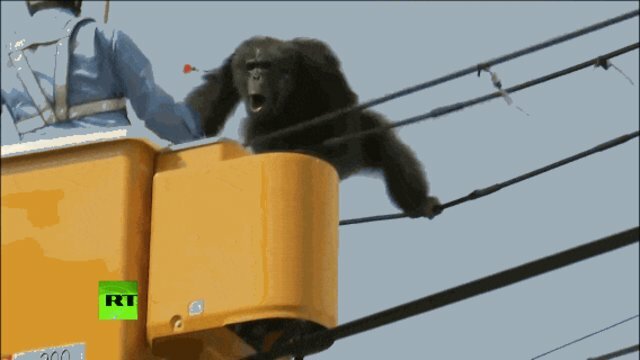 While the humans used a boom lift to reach him, Cha Cha used nothing more than his hands, feet and will to summit the pole. After about an hour at the scene, officials darted Cha Cha with a sedative. Cha Cha wasn't happy, as a video from RT shows. He lunged at the humans and pulled the dart from his arm. He apparently didn't want to be bothered. Despite the sedative beginning to run through his body, he continued his climb with notable athleticism. Eventually, the drugs kicked in, but Cha Cha resisted. 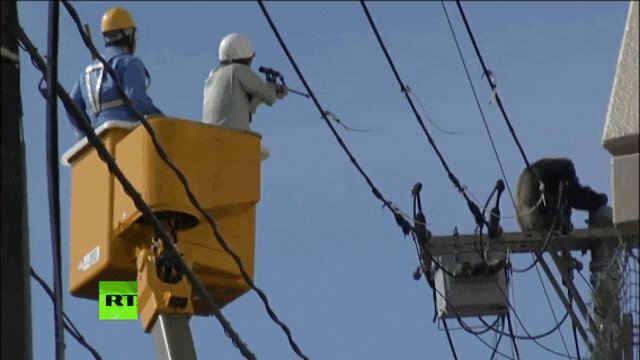 He held onto that last wire as long as he could. But he finally fell into a net held by officials waiting below - not without hitting wires on the way down. 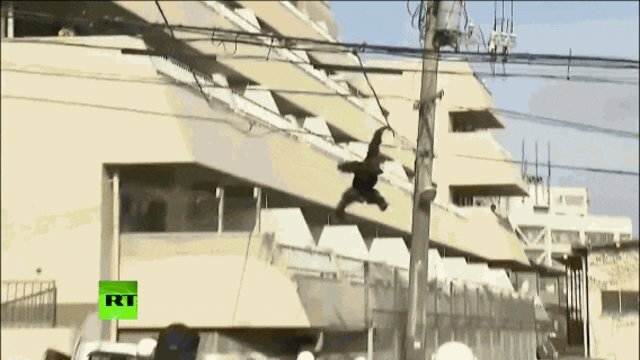 For the humans of Sendai, it was a tense day. A principal of a nearby school kept nearly 400 children inside for safety concerns. For Cha Cha, however, it was most likely an extraordinary day, one when he decided to break the monotony of his decades in a zoo and adventure past the walls of the life he knew. 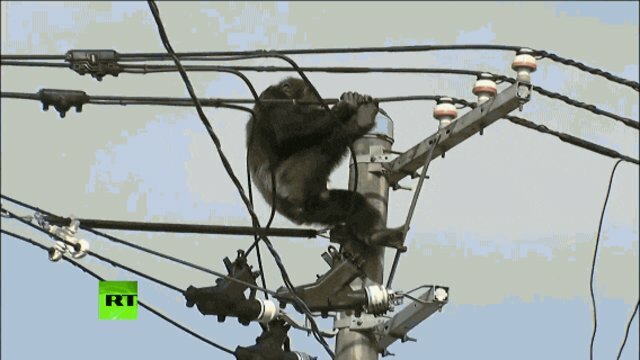 Since zoo officials still don't know how Cha Cha managed to escape, it's possible that a second escape attempt is in store for the curious chimp. Watch the full video of the capture below.